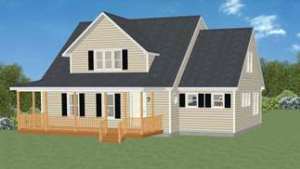 Cost of Manufactured Home vs Modular | Why Are Modular Homes Cheaper? System-built technology provides measurable savings for your project. The factory savings due to their buying power, efficiency and speed saves 10-15% off conventional construction (called “hard costs”). There are also “soft cost” savings. Additional hard and soft costs are summarized below. The factories are located in the parts of the country with the lowest cost of manpower. The tradesmen labor rates are ¼ of the rates in Massachusetts. Except for a small deposit, the factory is not paid until the product is 90% complete. This elimination of progress payments and the short duration between deposit and 90% complete saves on loan interest payments. The savings is a 1.8-2.2% reduction in the project cost. The time saved is several months. The cost of the disruption is called “dislocation” expenses and derives from moving out of your home or disrupted utility service, storage, etc. The savings is a 2.7-3% reduction in the project cost. Your projects design is done by Mod-Tech Homes and production drawings and building engineering is done at our factories. The architecture and engineering costs (A&E) are reduced to your on-site needs only. The savings is a 5-5.2% reduction in the project cost. Construction materials stored on your site can be damaged or stolen. Many materials are also standard sizes, not pre-cut as in the factory. This theft and waste is greatly reduced by the short duration of activity onsite. The savings is a 2-3% reduction in the project cost. Winter conditions in the northeast include snow plowing, temporary heat, delays and manpower shortages. These elements are reduced due to system built being weather tight in one day. The savings is a 1.5-2% reduction in the project cost. Change Orders result from changes in scope or design during the construction process. These surprises are virtually eliminated at the factory by the system built process. The savings is a 2.5-3.5% reduction in the project cost (or more). Sustainable construction and energy savings are realized by the nature of the construction. 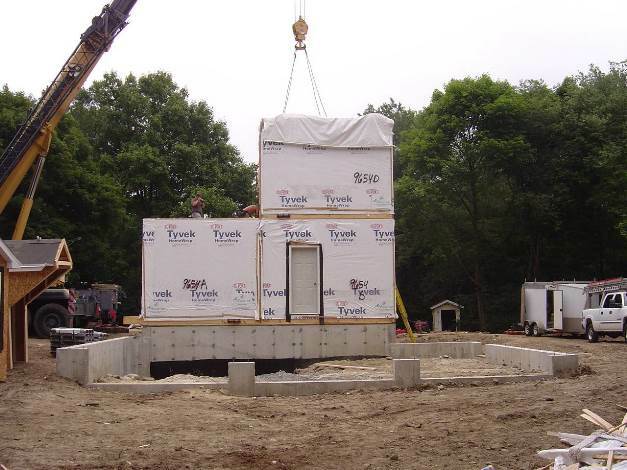 The homes are built stronger to travel over the highways and be placed with a crane. The strength comes from extra materials and fasteners resulting in energy savings as a consequence. These savings are ongoing in your monthly energy spending. These savings can add up to a 15% to 30% reduction in total project costs compared to conventional construction.